This blog is intended up document my running journey. The ups and the downs. I’ve tried to fight the temptation to re-touch the snapshot of my life that I provide here (although I am known to crop and filter my Instagram photos…). So here is a moment of honesty. I am running the Phoenix Marathon in seven days, and I am trying to run a Boston Marathon-qualifying time there. And, this week, I am freaking. the eff. out. I’ve been super busy over the past few weeks doing meal prep, traveling, working, and training. 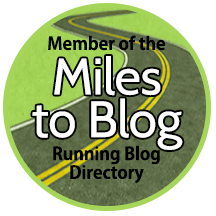 Here is a little update, including some thoughts on my training and prep going into the Phoenix Marathon (just three more weeks!) and as I wrap up my 12-week cut on the Renaissance Periodization diet. Plus, my pre-race to-do list!